The Society's purpose is to cultivate and foster a love and appreciation of the art, history, literature and uses of the recorder, and to raise the level of proficiency in its performance. The Society chooses repertory that showcases various schools of music within the Medieval, Renaissance, Baroque and current periods that reflect the highest levels that we can achieve. Any person who subscribes to these purposes is welcome. The Highland Park Recorder Society offers its members and friends the opportunity to find playing companions, increase musical skills, and improve musicianship through regular ensemble playing. The recorder ensemble classes usually meet the first and third Wednesday of the month and are led by members Momo Kusaka and Donna Messer. 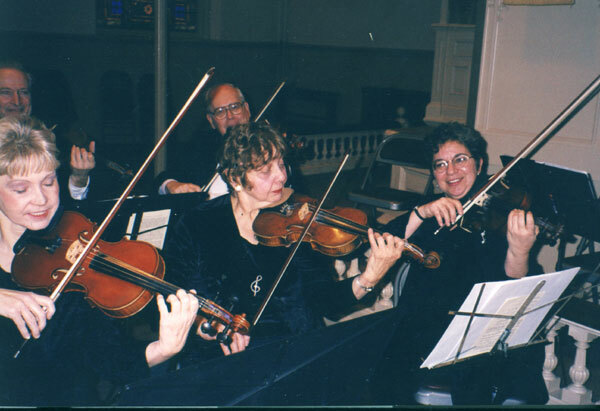 Musica Dolce, a Baroque outreach ensemble of the Society, prepares and performs Baroque music to lift the spirit. This year the Highland Park Recorder Society is celebrating its 25th Anniversary Year. Toward fulfillment of its mission, members of the Highland Park Recorder Society and its Baroque Ensemble, Musica Dolce, and guest artists will be studying and performing a program, Dance Music, from Baroque Suites to the Sweet and Saucy Tango, May 20, 2012, under the expert direction of the Music and Artistic Director for this anniversary year, Minju Lee. Please save the date. Minju Lee earned her Bachelor’s degree in Music Composition in Hanyang University in Korea, and Master and D.M.A. degree at the State University of New York, Stony Brook under Arthur Haas. She has years of experience teaching harpsichord in the Korea National University of Art, in Hanyang University, Korea, and the School of Music in Kyungwon University, Korea. She performed many concerts in the United States studied for the Artistic Diploma at Oberlin Conservatory under Lisa Crawford. We are honored to have her work with us.